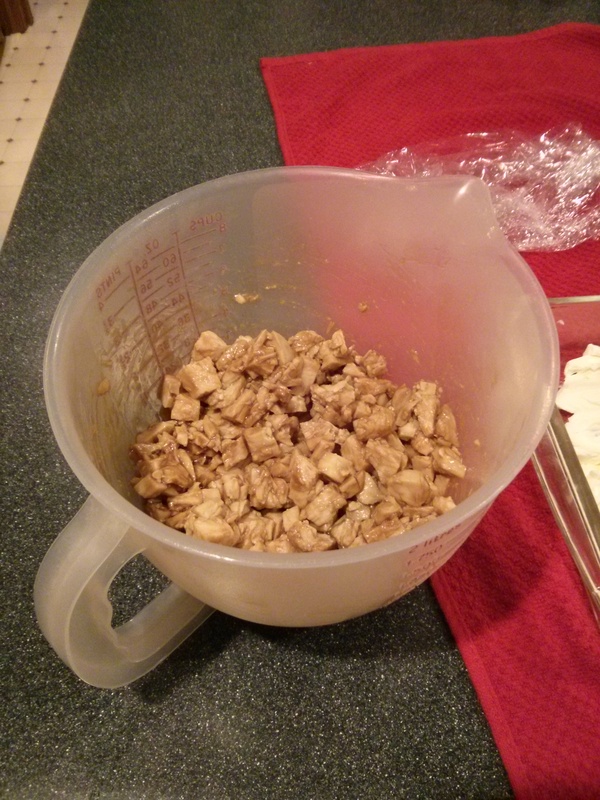 last week i got caught up in the flurry of an online recipe exchange – how exciting! i had received a honey teriyaki appetizer dish from our good family friend mary b., and with so much free time over the holiday weekend, i roped my mom into giving it a try with me. maybe you should give it a try, too? go on! flex those cooking muscles, ya beast! okay, i’ll stop. you know how i cannot help getting carried away at times. ha! gotcha! i couldn’t help myself. who doesn’t love indulging in some classic george strait? that’s right. EVERYONE loves indulging in classic george strait. okay, i really will get down to business with this recipe so that you can enjoy it. *also! this chicken can either be a rotisserie you picked up from the grocery OR you can poach/boil the chicken yourself. it will really depend on what’s available and how much time you have. for a few hours, marinate the chicken in some of the honey teriyaki marinade (not marinate, for marinate is the verb and marinade is the noun; the more you know!). 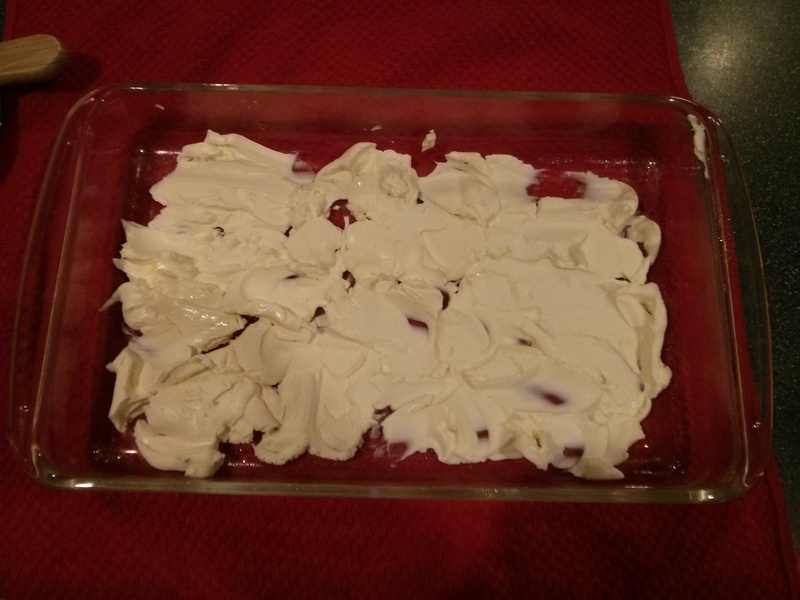 grab a greased glass baking dish (a 9 x 13 will do, or something a tad smaller; you don’t want an 8 x 8, though, for that won’t be enough space) and spread the cream cheese out on it. sprinkle with the garlic powder. all i want to do is put raspberry jam on it and eat it with a bagel. now, at this point you can take this dish in one of two directions. direction one is to serve it warm. direction two is to serve it chilled. i will detail both directions so that you can wisely make a choice. 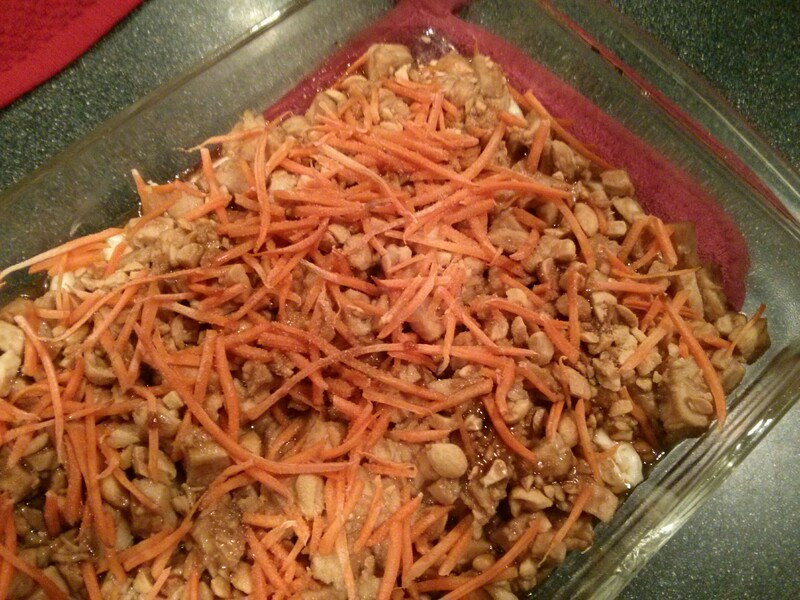 on top of the chicken, add the carrots and peanuts. drizzle on some more honey teriyaki marinade. 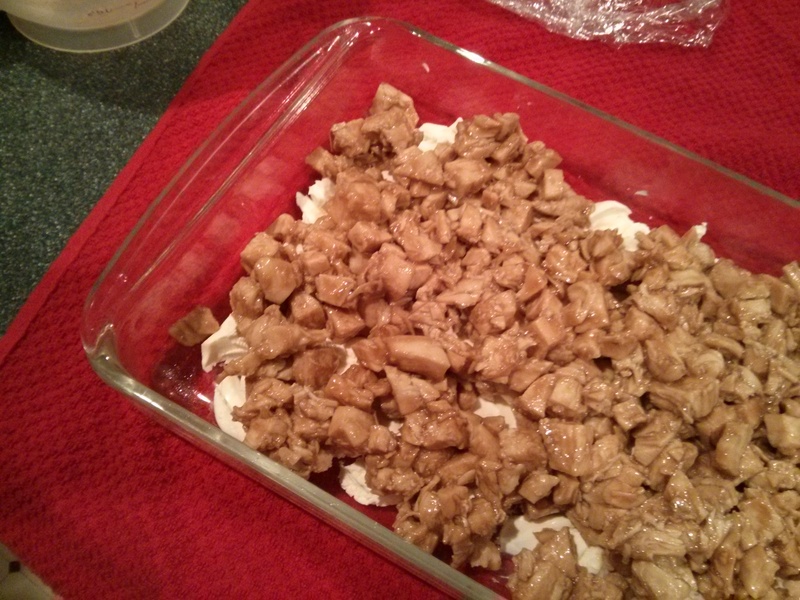 pop the baking dish into a warm oven for 15 minutes to get everything warmed through and slightly bubbly. be careful, though; you don’t want to burn that cream cheese. top with the green onions and serve with crackers. 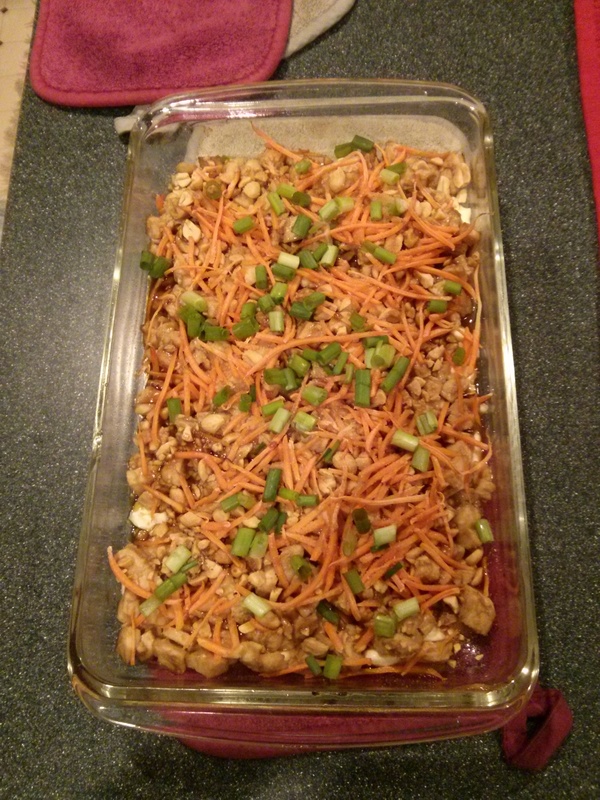 on top of the chicken, add the carrots, peanuts, and green onions. drizzle on some more honey teriyaki marinade and serve with crackers. whether you prefer direction one or direction two, the dish is going to be a hit. now, as a cream cheese lover, i am always in favor of more than less, but the 8 ounces the recipe calls for here is just perfect. mom recommended throwing in some water chestnuts, which are another one of my favorites. i totally understand that they have zero flavor whatsoever, but that crunch is just so delightful! finally, if you don’t want them on a cracker, we decided it would be just as delectable in a lettuce wrap, either for an appetizer or an entree.